A James Roller full restoration of this desirable model, which has the automatic candy vendor feature. 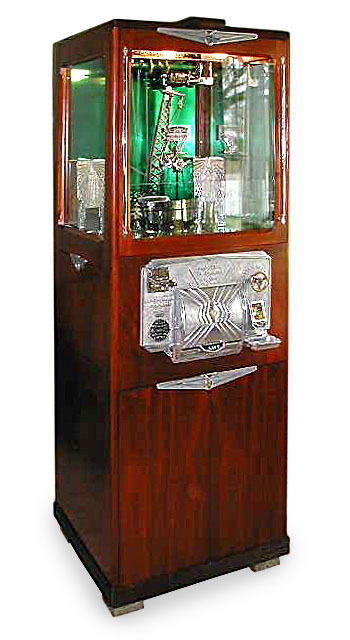 The vendor mechanism is located in the right hand silo (skyscraper building) and feeds small mint or candies into the glass front dispenser door below the hand wheel. This restoration art is now part of a private collection.